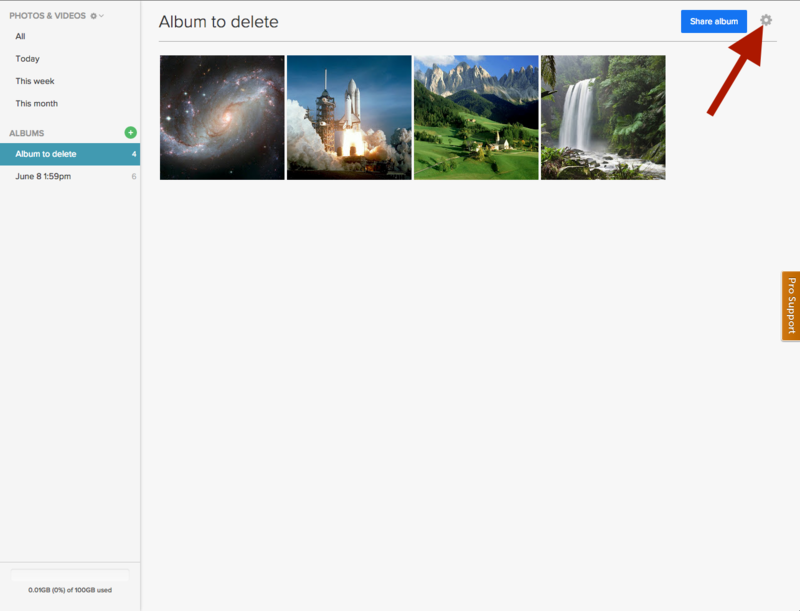 Want to remove one of the albums you created? 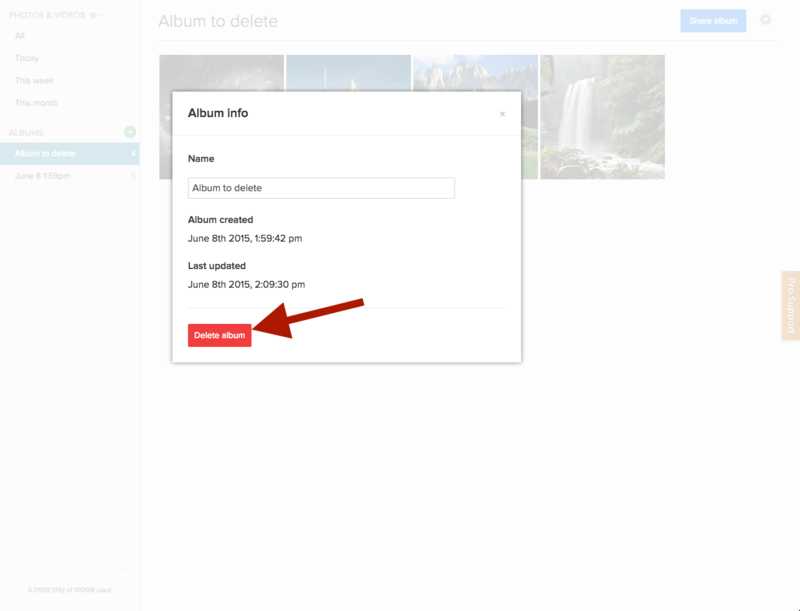 Keep in mind, when you delete an album, if it was shared, no one with your share link will be able to view the photos and videos you shared using that link. Also, when you delete an album, the photos and videos which were in that album are NOT removed from your Photos/Videos gallery. You can delete your albums at any time using the steps below. 1. Click on the album you want to remove in the Photos/Videos tab. 2. 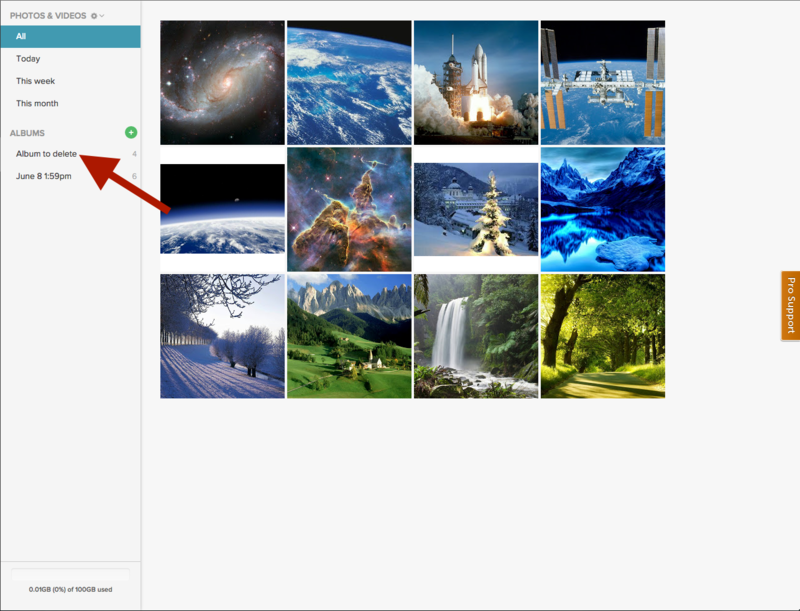 Open the Album info page by clicking the gear icon in the upper right side of the album page. 3. At the bottom of the Album info page, click Delete album. Now your album is deleted.